Tala works with international and local clients on mergers, acquisitions and company restructuring. She also advises on general commercial advisory matters including company incorporation, set up of companies in the Qatar Financial Centre, liquidation of companies and deregistration of branch offices in Qatar. Tala is experienced in drafting companies’ constitutional documents including detailed shareholders’ agreements. She is also competent in drafting trademark licensing agreements. 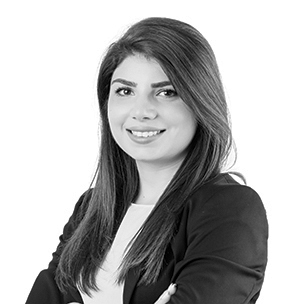 Tala trained at a reputable law firm in Jordan where her technical skills and understanding were boosted through her work in several fields including; Mergers & Acquisitions and Company Restructuring; Construction and Renewable Energy. In addition, Tala has worked on a number of high profile projects in Jordan, such as the set up of the first liquefied natural gas terminal and storage facility. Which type of corporate entity should a foreign investor set up in Qatar?